Ohio's amusement parks are some of the most popular in the world, in part due to the number of park options, the quality and variety of rides and the fun and excitement they offer to all ages. For example, the Los Angeles Times states that King's Island has the fourth highest number of roller coasters in North America. Add to that the legendary Cedar Point roller coasters and a large number of water parks and Ohio is one of the best destinations theme park getaways in America. 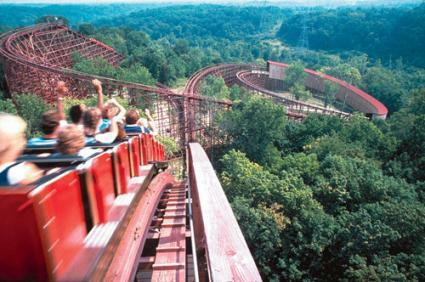 Ohio is home to more than three dozen roller coasters, making it one of the top three states for coasters in the country according to CoasterCritic.com. At the same time, however, the state is also home to a number of small, family-oriented parks that are perfect for an afternoon or evening of enjoyment. There are three large amusement parks in Ohio. This 364-acre park in Sandusky along the Lake Erie coast is the most highly rated amusement park in the world, a distinction granted by Amusement Today magazine for 16 consecutive years as of 2013. With more than 60 rides, including more than 16 thrilling coasters, Cedar Point has something for everyone. Multiple children's areas appeal to the youngest visitors. Craft demonstrations, live entertainment, dining and a dinosaur exhibit offer enjoyment to guests who prefer milder thrills. New for 2013 is a roller coaster called the GateKeeper, a ride that the park's website describes as the tallest, fastest wing roller coaster in the world. This former Paramount park is now part of the Cedar Fair Entertainment Company, the parent company of Cedar Point and a number of other amusement parks throughout the country. King's Island is home to a wide range of coasters including the wildly popular Beast wooden coaster. Dozens of additional rides, shows, and other attractions make this park in King's Mills a popular destination. Watch out for the Banshee roller coaster in 2014. According to the King's Island website and a WKYC report, it will be "the world's longest inverted coaster" at at 4124 feet. This moderately sized park near Cincinnati offers a range of attractions for all ages. The Python roller coaster is suitable for the whole family. More than 20 classic amusement rides including a Ferris wheel, bumper cars, carousel, and bumper boats bring traditional nostalgic thrills to life. Other Coney Island attractions include a miniature golf and a western "town", which is a kid-friendly version of a mining boomtown. Ohio is also home to several smaller family parks. 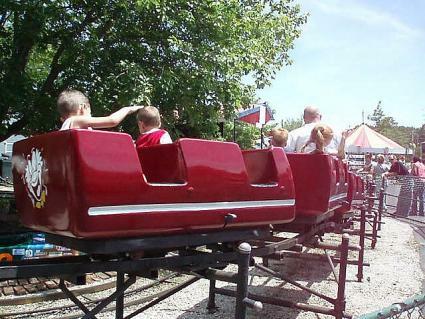 Jungle Jack's Landing: This park in Powell is an extension of the Columbus Zoo and features a wooden family roller coaster, log flume ride, a swinging ship, several spinning rides, and a small train. Memphis Kiddie Park: Youngsters are the guests of honor at this Cleveland park that features a wide selection of children's rides, including the Little Dipper roller coaster, a small carousel, flying rockets, and boats. A challenging miniature golf course is fun for the whole family, and birthday rentals are available. Strickers Grove: This park in Ross is privately owned and only open to the public on the Fourth of July, Family Day in August, Customer Appreciation Day in October and Labor Day. On those special days guests will enjoy the Teddy Bear and Tornado wooden coasters, a selection of milder rides, free soft drinks, and shaded picnic areas. The park can also be rented for special occasions and is a popular option for family reunions, graduation parties, and weddings. Tuscora Park: Located in New Philadelphia, this park has a range of athletic attractions including miniature golf, batting cages, and a pool. A kiddie coaster is also popular with younger visitors. Island Adventures: This Port Clinton park is home to a miniature golf course, go karts, bumper boats, a climbing wall, and a large arcade. Guests can also go wild in the petting zoo or feel like pioneers as they sift for gemstones and fossils. 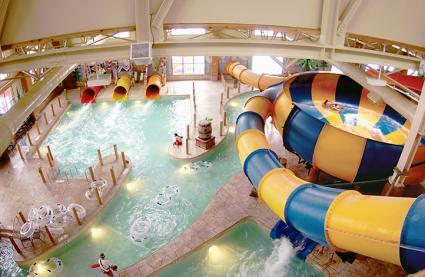 Ohio is also home to several amazing water parks, both outdoor and indoor. Soak City: Adjacent to Cedar Point, this large water park features different types of slides, children's play areas, a wave pool, lazy and action rivers, and more. Wildwater Kingdom: Another Cedar Fair water park, Wildwater Kingdom guests can have a splashtastic time in Aurora with multiple water slides, a wave pool, kiddie areas, and a lazy river. 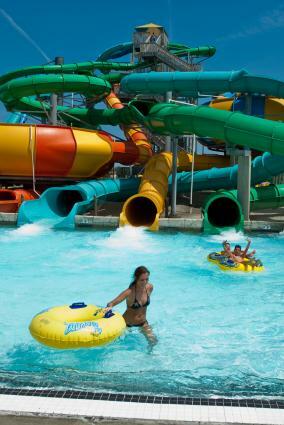 Zoombezi Bay: Part of the Columbus Zoo in Powell, this large water park features more than a dozen slides, both lazy and action rivers, a wave pool, and a children's interactive play area. The Beach: Located in Mason, this aquatastic park has a wide range of water slides of all excitement levels, as well as a water coaster, wave pool, lazy river, and sand volleyball courts. At their new High Tide Hoops attraction, you and your family can enjoy a game of basketball in the water. When the weather gets colder, Ohio residents and guests can also enjoy the state's many indoor water parks, including the Great Wolf Lodge, the Kalahari Resort, Castaway Bay and more. It is important to remember that most amusement and water parks in Ohio are only open seasonally. Exact operating dates vary for each park, but seasons generally run from April or May through September or October. Many parks are only open weekends early and late in the season. Visit during less busy days, such as earlier in the season or during the week. 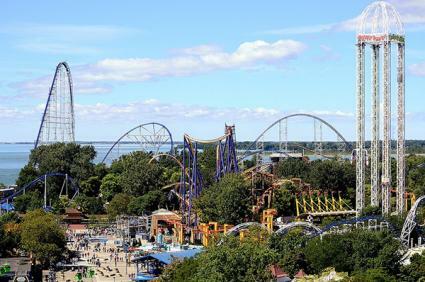 Investigate getting a Cedar Point platinum pass that includes free admission to all Cedar Fair parks, including King's Island, Soak City and Wildwater Kingdom. From small amusement parks with traditional rides such as bumper cars and Ferris wheels to the humongous chain owned parks that offer some of the fastest and highest roller coasters in the world, Ohio is a thrill seekers delight. Even if you don't live in the state, it is worth a visit just so you can say you have braved such rides the Mantis at Cedar Point and brag that you kept your mouth closed and you eyes open as you plummeted 50 feet on the Scream Machine at Coney Island. For those that live in Ohio, you must be some of the luckiest people in the world. Even during the winter you have plenty of indoor water parks to keep you going.